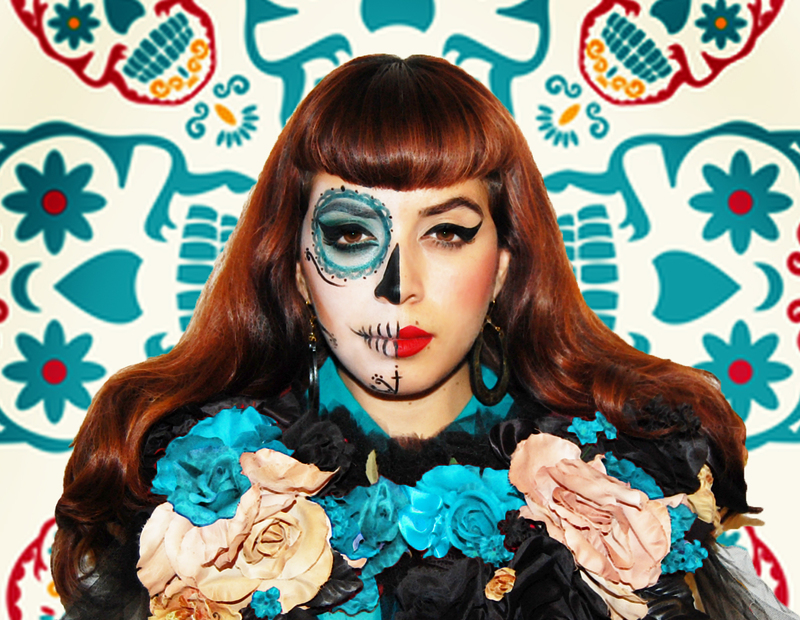 This post is a tribute to Dia De Los Angelitos (Day of the Little Angels) which is celebrated today and Dia De Los Muertos (Day of the dead) which is celebrated tomorrow in collaboration with my love for jewelry designer Rosita Bonita whose pieces remind me of these wonderful holidays. These holidays are celebrated in Mexico and other parts of the world where natives pray for their lost loved ones and celebrate the lives that they lived. They create alters adorned with food, sugar skulls, Milagros, and marigolds. Though I am not mexican, my mother and I visited Mexico a few Halloween’s ago, saw it all in person, and became enamored by the culture and the art that we saw there. It was honestly the most beautiful and colorful place I had ever seen and I remembered not wanting to come home. Though this holiday has become a Halloween spectacle, I respect the mexican culture and have educated myself on this yearly tradition. 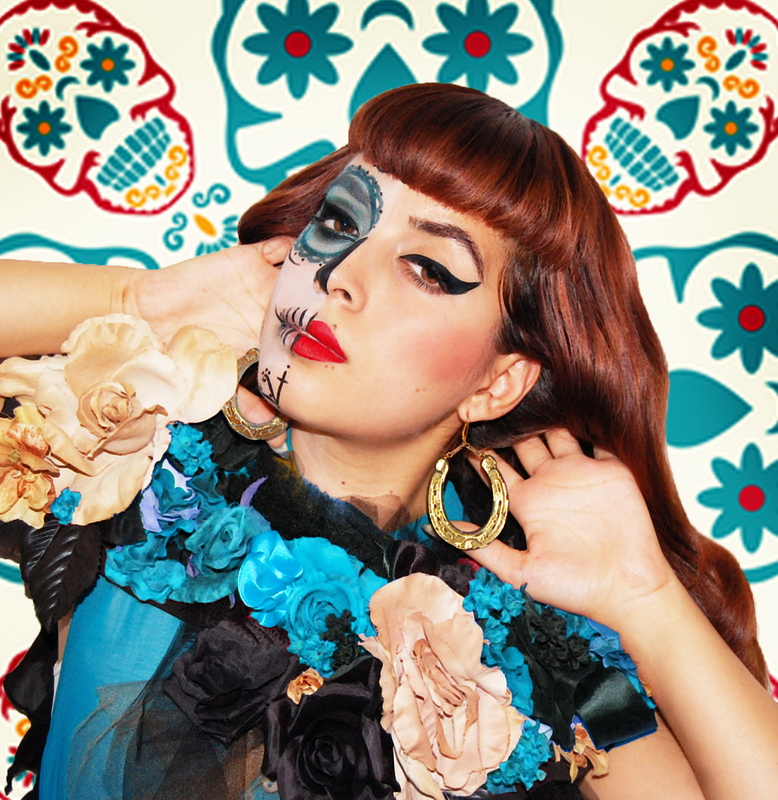 I would paint my face as a sugar skull every day If I could which is why I integrated this tradition with these beautiful Rosita Bonita gems. I found out about her work a few months ago and have been hooked to her vibrant colorful works of art. 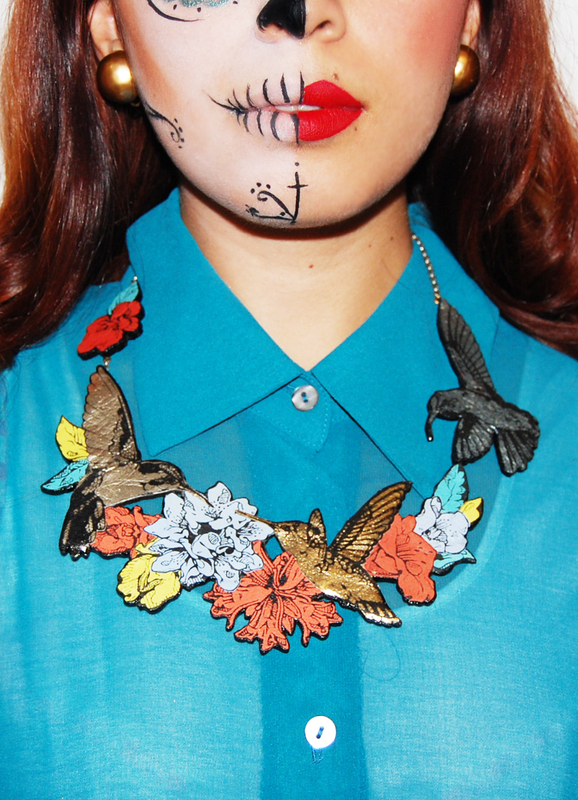 She utilizes her artwork to make leather screen printed necklaces adorned with roses, giant Milagros pendants, golden hummingbirds and more. She even has framed artwork in which she uses her jewelry images to adorn the walls of your home. I had never seen anything like it and seeing that she was inspired by Mexican culture to create such beautiful pieces made her work easy to love. Thankfully I have one of her necklaces and a pair of horse shoe earrings but I plan to add a few more of her pieces to my collection. See them inside. My favorite Rosita Bonita Necklace from her Orchard collection. 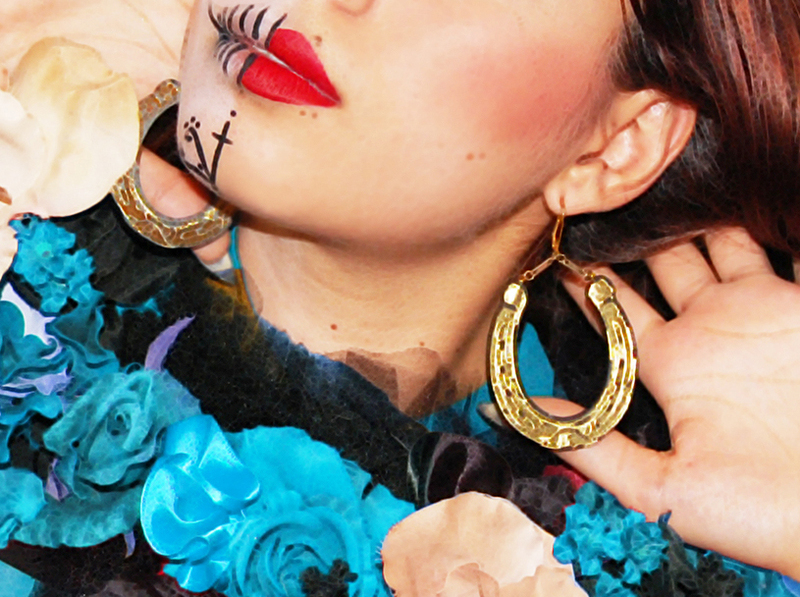 My lucky charm Horse Shoe Earrings. Let’s take today and tomorrow to honor the lives of people who have passed and wish them a peaceful after-life on the other side. Visit Rosita Bonita to see her brand new collection. Love ur makeup as always ! This is Art♥ I love it! Love both, makeup and hair. Great job! VV has style! 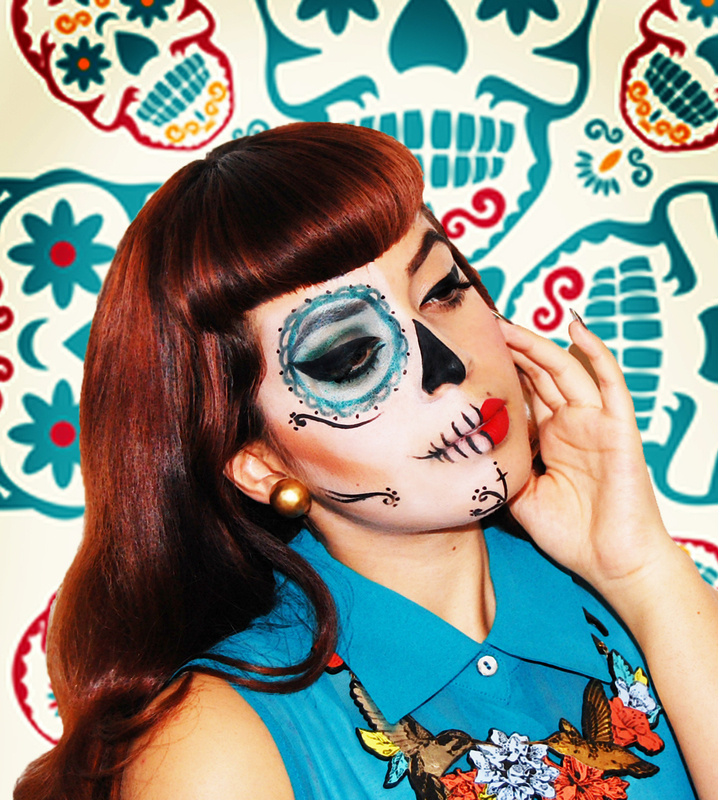 Gotta love this Day of the Little Angels/Day of the Dead themed look!